June 2, 2009, 1:00 p.m.
Open and replace electronic boards inside the ACS and STIS instruments. Michael L. Weiss is currently the Deputy Program Manager of the Hubble Space Telescope Program at NASA�s Goddard Space Flight Center. He received his B.S. and M.S. in Aerospace Engineering from the University of Maryland at College Park in 1978 and 1983, respectively. From 1978 to 1990, he led the systems engineering activities for numerous earth and space science spacecraft including SMM, UARS, GRO and EUVE. He also managed the systems engineering activities for the first Shuttle-based satellite repair mission, the Solar Maximum Repair Mission, which flew in 1984. He directed the systems development of the first two Hubble servicing missions that flew in 1993 and 1997, respectively. From 1997 to 2000, he served as the Deputy Division Chief of Goddard�s Systems Engineering Division, which served as a home-base for all earth and space science mission systems engineers. In 1998 he returned to Hubble as the Deputy Program Manager to lead the technical development of all program activities, including servicing, operations and advanced studies. 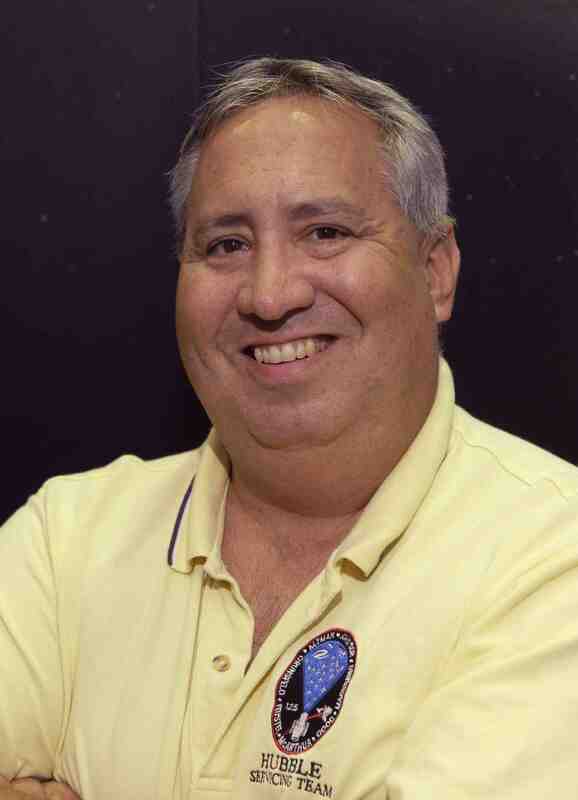 He has accumulated over 200 hours in NASA�s Neutral Buoyancy Laboratory training Shuttle flight crews on servicing techniques and procedures and is an avid open water diver and underwater photographer. He has appeared on NOVA, the Discovery Channel, NPR, and the BBC. Under his technical direction, Hubble continues to function as the world�s premier observational facility.